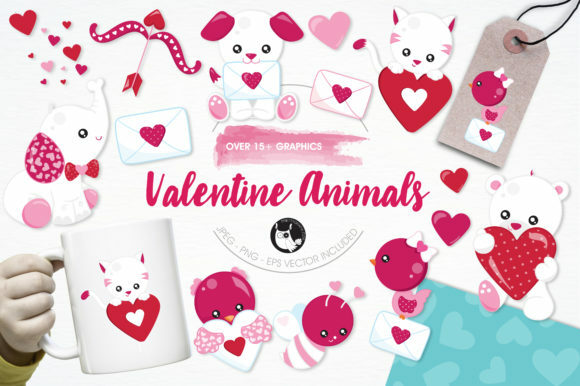 This graphics bundle is not only great for creating Valentine’s Day Cards, it works also very well for other loving occasions. This graphic set can be great for creating newborn cards, wedding invites, birthday cards, anniversary designs and much more. Sprinkle a bit of love on each design project!